Not exactly a traditional bolognese - besides being vegan, it has capers in it. But it is delicious and has become a go-to recipe for me. I've never cared much for shepherd's pie, but I knew if anyone could come up with a version I would like, it would be Shannon Martinez. 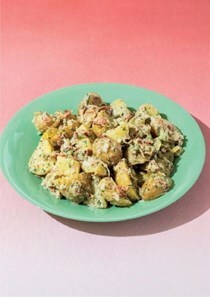 This recipe does not disappoint! Forget your preconceptions of vegan food. 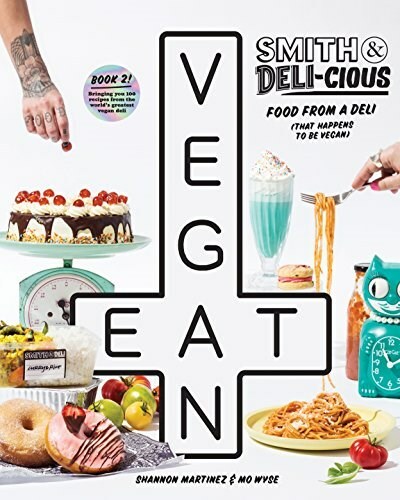 In Smith & DELI-cious: a Deli (That Happens to be Vegan), Shannon Martinez and Mo Wyse are here to challenge them all with a collection of recipes that celebrates delicious plant-based food the way it should be: big, bold and flavorful. Across seven chapters, Shannon and Mo bring you recipes from the line-out-the-door popular Smith & Deli. The book features salads (including German potato salad; beetroot, black lentil, yogurt and dill salad; and Vietnamese slaw), soups (borscht; pumpkin, orange and chipotle; smoky potato and leek; split pea), baked sweets (banana split cake; brownies; pumpkin pie; chocolate, mandarin and sour cherry pudding), dough both sweet and savory (sticky buns; doughnuts; dill pretzels; plakopsy), meals (meatballs; chili peppers; mac and cheese; kimchi fried rice; cheesy broccoli and cauliflower pie) and basics (stocks; rices; sides; sauces; dips). As well, the book will fill you in on the Smith & Deli story and introduce you to the people who, along with Shannon and Mo, make it happen. Kitchen staff will feature with their favorite recipes, and front of house staff will be profiled (and shown in their distinctive Smith & Deli uniforms). The deli, with its neighborhood corner store vibe and New York sass, has a very different vibe from the Smith & Daughters restaurant, and this is reflected in the book. The recipes in Deli have a more home-cooked feel than those in Daughters, and span many cuisines (expect anything from okonomiyaki and bahn mi to apple pie bars and English baked beans). The design will leave behind the black of Smith & Daughters for a look more in keeping with the deli's light, retro feel.